"Rooms are spacious, food is good." "The room service is very good." "Disgusting Hotel Staff, extremely unfriendly." "Room services was very poor"
When I booked the hotel, it shows the free WIFI, hotel didn't respect the kayak, asked us to pay Rs. 700 per day, why? They call themselves 4 star and gave us dirty sheets and used towels - need I say more? Very clean and modern. definitely up to western standards. my friend paid for wifi in her booking and they did not honor it. Apparently you are suppose to be sent a voucher, but she was not sent one even though her booking clearly stated "wifi included"
Search for Welcomhotel Dwarka - Member Itc Hotel Group discounts in New Delhi with KAYAK. 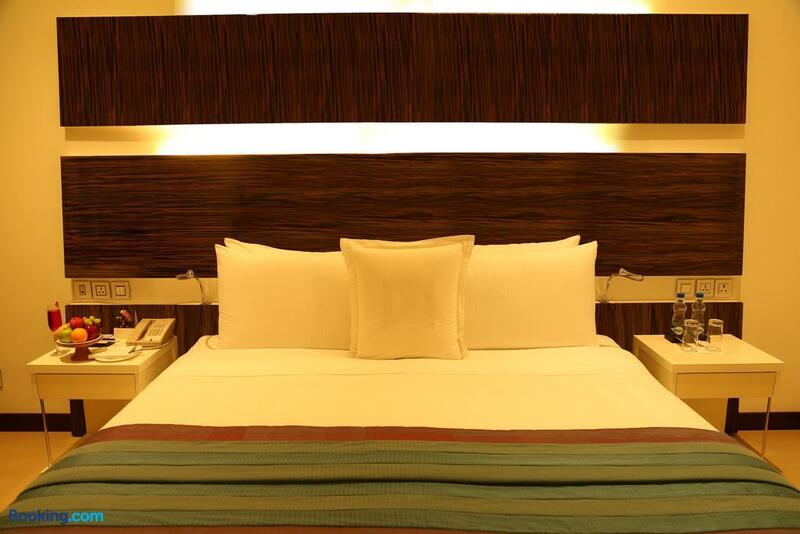 Search for the cheapest hotel deal for Welcomhotel Dwarka - Member Itc Hotel Group in New Delhi. KAYAK searches hundreds of travel sites to help you find and book the hotel deal at Welcomhotel Dwarka - Member Itc Hotel Group that suits you best. ₹ 3,921 per night (Latest starting price for this hotel) - Save up to 25%.